Is public relations part of your boardroom? Home » Public Relations » Is public relations part of your boardroom? Q: Is your most senior public relations staff member on your board? This is a simple question, but is it one you can answer in the affirmative? 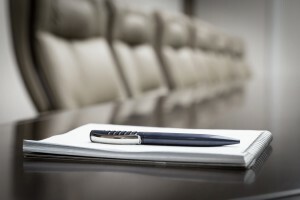 Is PR part of your boardroom? At it’s most basic level, public relations (PR) is reputation management. This strategic management function is what protects and enhances the reputation of your organisation. PR is your guardian angel. Key goals of membership organisations include engaging with members, improving member retention, increasing member numbers, representing the interests of members and generating an income to provide the services members deserve. How do you think the reputation of your organisation would affect these? How would a negative reputation affect your member levels? The importance you place on your reputation is directly proportional to the importance you place on your public relations function – and vice versa. Everything your organisation does has the potential to affect its reputation. Every decision made by your board / Council / senior management team has the potential to affect your reputation. Every interaction your staff has with a member or potential member has the potential to affect your reputation. At what point in your strategic decision-making do you consider public relations? There are organisations which only consider PR when they want to shout about something. There are organisations which only consider PR when they want to bury bad news. There are fewer who include PR at the heart of decision-making, and these are the organisations which maximise the potential of this valuable resource. The most effective public relations is when it is an integral part of the business and part of the whole story, not used as a bolt-on when decisions are made or to fire-fight. To be effective and a driver for business results, you need a PR professional in your senior management team / board to help create the messages about your organisation. Involving public relations in decision-making means you take your organisation’s reputation seriously. Hopefully now you understand why your answer should be in the affirmative. What is best practice in PR?